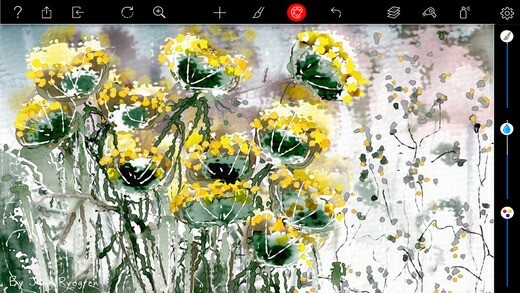 Auryn Ink is a watercolor painting application for Ipad, Iphone, Ipod Touch and Android. It has a great variety of controls which enable the artist to create a wide variety of realistic watercolor effects. Cost for an individual download is currently $3.99.